Other restaurants are opening and hoping to capitalize on the popularity of the park as well. LARK on the Park, which opened a few months ago, has been attracting park visitors right and left. The restaurant offers enticing entrees like smoked duck breast, coq au vin and seared scallops. The chalkboard artwork even brings the Arts District inside the new restaurant. 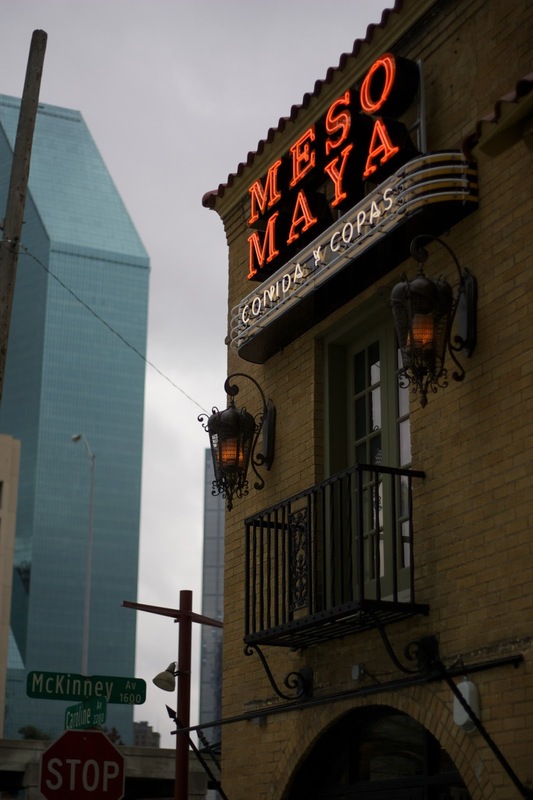 Only a few blocks from the Park, Meso Maya and Taqueria La Ventana offer classic Mayan and Mexican cuisine. Located in the old Luna's Tortilla Factory, Meso Maya's upscale Mexican menu includes items such as roasted duck with pasilla broth, enchiladas with blue corn tortillas and crepas con cajeta. Taqueria La Ventana, located behind Meso Maya, is a walk-up window where patrons can get their taco fix. It offers plenty of outdoor seating or you can take your tacos to-go and visits Klyde Warren Park. Next door neighbor, El Fenix is the true originator of Tex-Mex cuisine. Offering a Wednesday "Enchilada Dinner Special" with two cheese enchiladas, refried beans and rice, this restaurant wows patrons with fresh ingredients and zesty entrees. When you go, make sure to create your own guacamole! Add in your personal favorites like roasted corn salsa, bacon, or queso fresco to create a one of a kind dish. After a long day at the park, it might be time to hop on the McKinney Avenue Trolley to search for some dinner. You won't have to go far to find any. Sfuzzi is the perfect place to grab dinner after visiting the park. The dinner menu entices patrons with homemade pizzas, Tuscan mac and cheese and classic Tiramisu. If you're in the mood for great steak and seafood, it is impossible to go wrong at Truluck's. The menu featuring lobster bisque, center-cut filets and king shrimp and crab grits is sure to please any palate. The restaurant even has miso-glazed tofu as a vegetarian option. A gluten free menu is also available to provide patrons with easy ordering. Along the lines of the fine dining of Truluck's, Nobu offers patrons exquisite Japanese dishes. Toro tartar with caviar, sauteed shrimp & lobster with spicy lemon sauce, and world class sushi and sashimi decorate the menu. Nobu shows patrons that food is a true art form that must be experienced through both sight and taste. With these amazing restaurants just steps away from Klyde Warren Park, it is safe to say that the Arts District truly has it all.